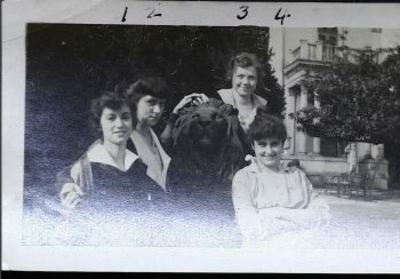 Four friends having a bit of fun with the lions in front of Belmont Mansion. Their names are written on the back: 1. Louise Wells; 2. Helen Wallace; 3. Madeline Aikins; 4. Frances Craven.